Fix have produced a definitive guide via an infographic with tips and advice on Kickboxing and how it can help us with our health and fitness and weight loss. This blog summarises the detailed article on Kickboxing as written by Susie Lemmer. Thank you to Katelyn Green for providing this article and infographics. Please click on the 3 infographic images to enlarge them and see a wide variety of information and concise detail on Kickboxing. 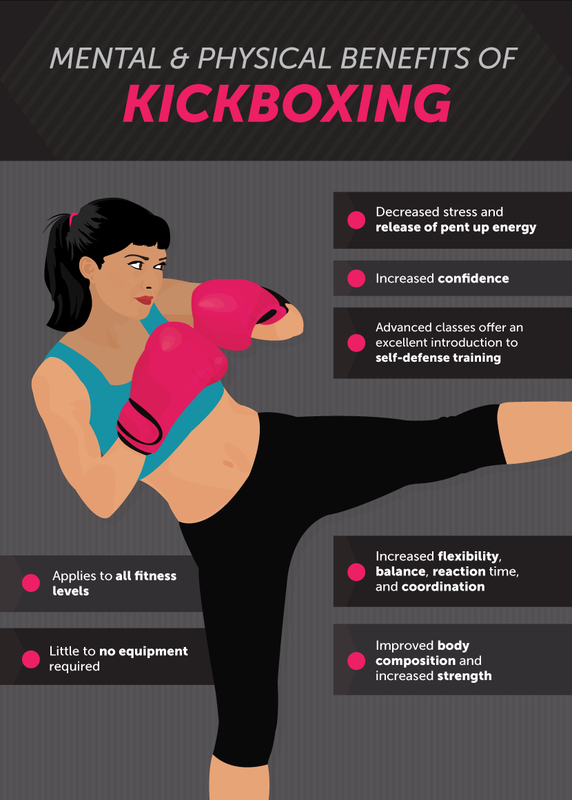 The first infographic highlights the mental and physical benefits of Kickboxing. The second infographic gives advuce on how we should punch. The third infographic provides examples of Kickboxing moves and exercises. - Improve Balance, Flexibility, Co-ordination and Reaction Time. "He worked with me to improve my fitness, confidence and self esteem. Matt provided constant support and encouragement whenever I needed it and always offered new and exciting ways to exercise"